PASCO COUNTY, Fla. — Can a criminal change their ways? Next month researchers from USF begin work trying to answer that question, diagnosing nearly anyone arrested at the Pasco County Jail. The overall goal is to decrease crime, meaning less property stolen, fewer people hurt, and less money spent on housing criminals. The new, first-of-its-kind study will be conducted free to Pasco County taxpayers, as USF students will be doing much of the work. Nearly every person who walks into the Pasco County jail in handcuffs could be screened to see what about their personality contributed to them ending up in jail. Researchers will begin by conducting long interviews with inmates, then categorizing the inmates based on personality traits. The researchers are looking for trends, possibly a mental disorder, or maybe a history of childhood abuse or substance abuse, and then trying to figure out if people with these backgrounds end up in jail more often than others. 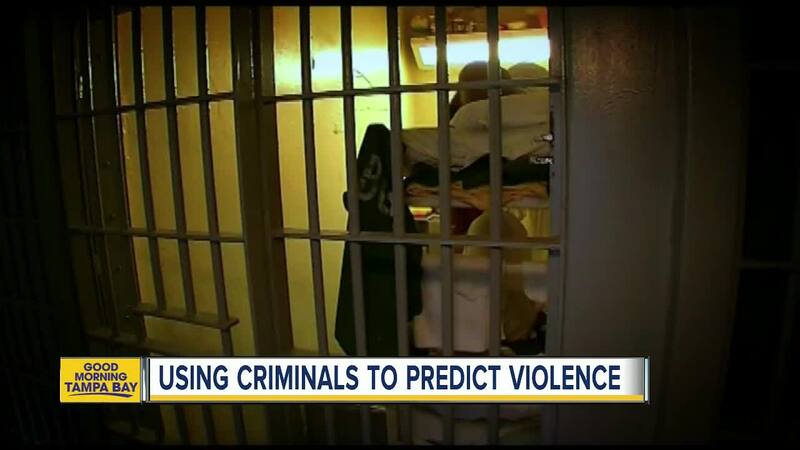 "Being impulsive, irresponsible and aggressive," are "regular behavioral manifestations" that people in the criminal justice system may possess, says Dr. Edelyn Verona, a USF professor and one of the study leads. But psychopathy, the term used to describe a mental disorder, usually shows up a little differently, she says. "Callousness. Being charming and convincing but at the same time conceitful," explains Dr. Edelyn Verona. 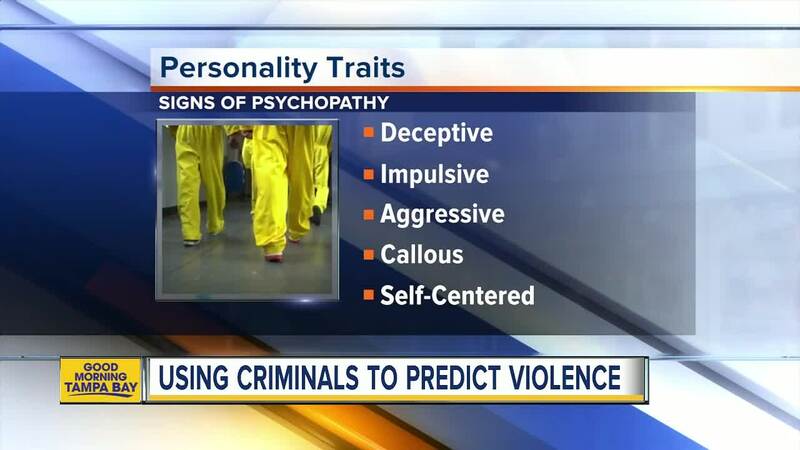 Characteristics such as being deceptive, impulsive, aggressive, callous, and self-centered are among the personality traits that could suggest an inmate is dealing with a mental disorder, she tells ABC Action News. "They may have less control executive control of their behavior and those may learn or may become numb to hurting others," adds Dr. Verona. If an inmate is diagnosed as having a disorder, the researchers - which include psychologists and criminologists - will also come up with a strategy to help them. "Part of them is not only getting a proper diagnosis, if they've never had it in the past, but also getting the psycho-education to know how does this affect them and they can make better choices in the future," explains Dr. Bryanna Fox, an associate professor with USF and one of the project leads. Inmates identified as potentially high-risk will then be strongly encouraged to get therapy and treatment. "[The inmate] might not have gone to see a psychologist. They might not have that knowledge or if they did they might not know what to do with it," adds Dr. Fox. If the study is successful, jails all over the Tampa Bay Area could benefit from what's learned. The study won't cost Pasco County taxpayers any money because USF students will be doing much of the work as part of their school coursework. The study could last at least a year and is set to begin in September.